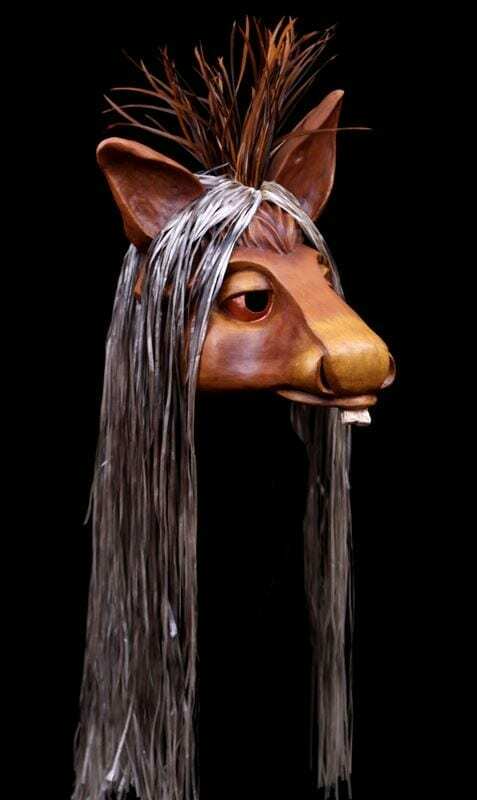 Bottom’s Mask for a Mid Summer Nights Dream by William Shakespeare. This mask is a more comic take of the Donkey Bottom is magically made into while asleep n the forest. The mask fits overt he face of the actor and is held on with an adjustable strap. The raffia mane drapes over the back of the actors head. The mask can be easily removed if the staging of the transformation takes place on stage.